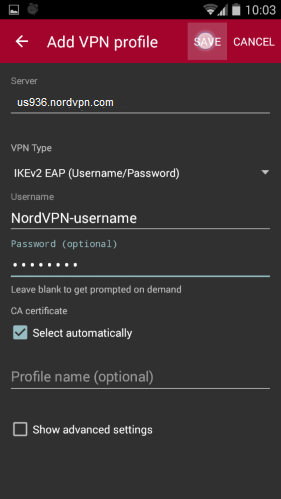 These instructions were made on a Samsung Galaxy Note II with Android 4.4.4 KitKat (CyanogenMod 11), and will help you to connect to NordVPN using the IKEv2 protocol. 3. 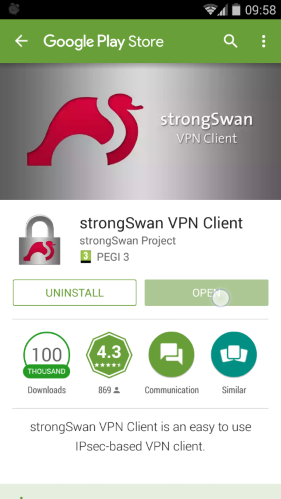 Open the strongSwan application. 4. Open the three dot menu by tapping the three dot icon in the top-right corner of the app. 6. 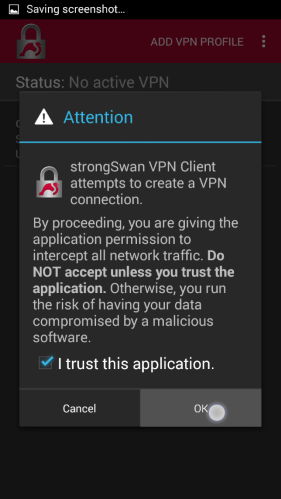 In the screen that opens, open the three dot menu again and select “Import certificate”. 7. Select the root.der file you have downloaded in Step 1. 8. 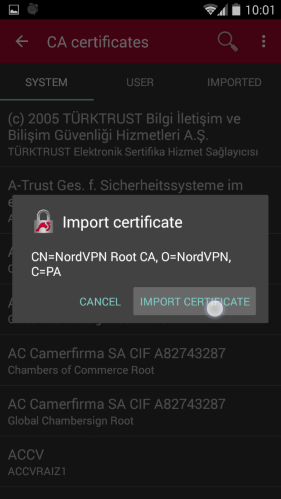 Confirm the importing by tapping “Import Certificate”. 9. 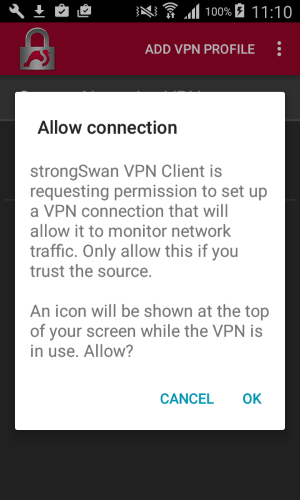 Tap the back arrow to go back to the main screen of the strongSwan app. 10. 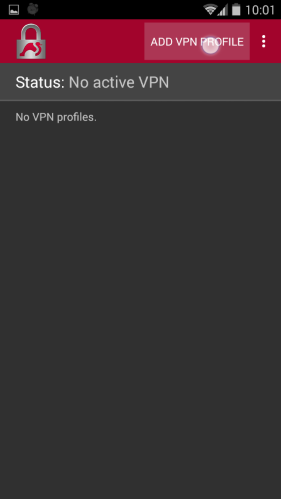 Select “Add VPN profile”. 11. In the Server field, enter the hostname of one of our servers. Server Hostname = For the sake of the tutorial, we have used us936.nordvpn.com, but you should connect to a server suggested to you at https://nordvpn.com/servers/tools/ . You can find the server hostname right under the server title. 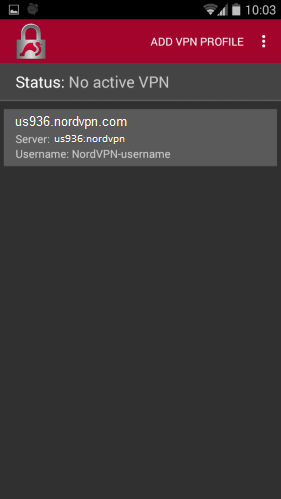 In the Username and Password fields, enter your NordVPN credentials. All other settings can stay the same, although you can name the profile in the “Profile name”. Once all the information has been entered, select “Save”. 12. Tap the profile you have just created to connect. 13. A warning message may appear. Since we trust this application, check the “I trust this application” checkmark (if it is there), and tap OK.
14. 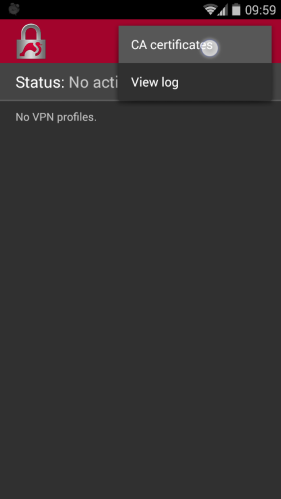 Once a status message appears saying you have Connected, you will be connected to the VPN server. 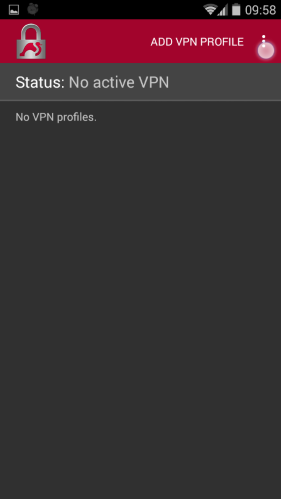 You can now minimize the application and use any other application – all of your network traffic now goes through the VPN and is secure. Tap the “Disconnect” button to disconnect from the server.